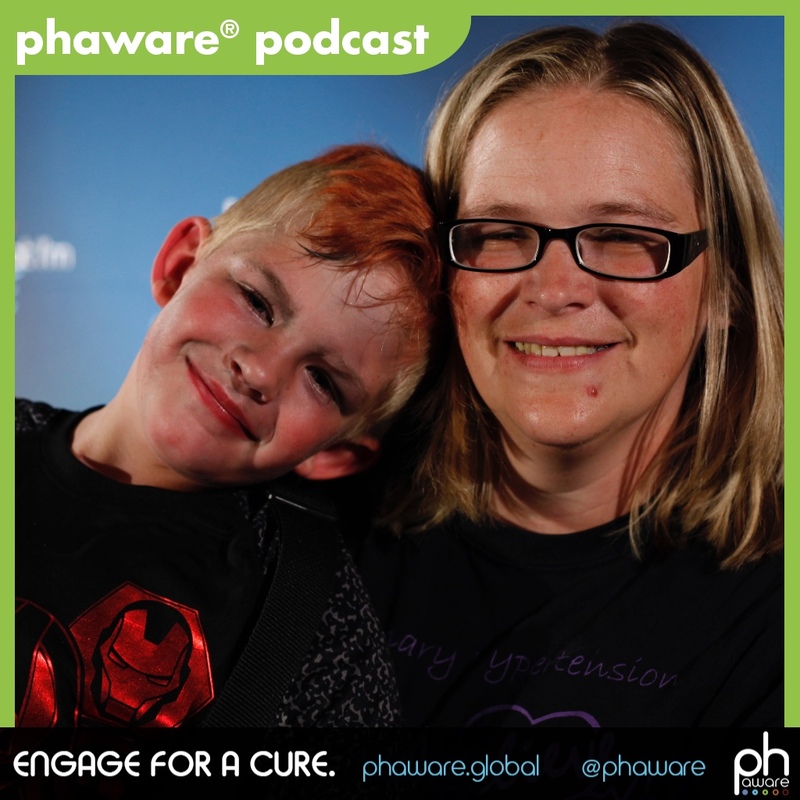 Pediatric pulmonary hypertension caregiver, Hollie Satona discusses her son Joelan's PH diagnosis and the challenge of juggling caregiving because three of her four children are impacted by rare disease and special needs. I'm Hollie Satona and I am the parent and caregiver of my son who is eight years old, Joelan, who has severe pulmonary hypertension. It's been kind of a whirlwind for JoJo since the day he was born. I didn't know about pulmonary hypertension until about two years ago. I kind of wish I would have known some of the symptoms prior to diagnosis, because I think he could have been diagnosed sooner. He was born with a large VSD and ASD and those were both repaired when he was six months old. He seemed to be a normal kid after those repaired procedures, until he was six years old and decided he wanted to go to T-ball. At T-ball practice, the first night, he couldn't keep up. His heart was pounding. You could visibly see his murmur, visibly see it. So I'm like something is not right here. I thought maybe one of the holes came back or there is something minor going on. We went to the doctor and he told me I was crazy. He's like oh, he's just overtired from running bases in T-ball. So then the next day, I took him to his family doctor and I had him run up and down the hall and as soon as he stopped and the doctor looked at him, he could see exactly what I was talking about. He was instantly on the phone with the cardiologist. It's been a whirlwind since then. Once we figured out getting him to the right doctors, the diagnosis was pretty quick. It was the first echocardiogram, the first cardiologist appointment after that we were sent to UW Madison in Wisconsin to do a right-heart catheterization. June 28, 2016, was his confirmed diagnosis. His pressures were over 145 at the catheterization. We got a rough start, a very quick informed theory of what pulmonary hypertension was and the therapies. It has been a challenge. The one thing I feel, though, is I kind of fight through challenges a lot with our lives. Our families are pretty busy. It was an obstacle that overcomes a busy lifestyle, because pulmonary hypertension definitely puts the brakes on a lot of obstacles that we face. Throughout the diagnosis, there's been quite a few hospital stays and procedures that he's had done and some evaluations just because of the severity of his pressures. Right now, he's doing wonderful. We finally got everything controlled, but we definitely learned to juggle. It's like a circus, so we definitely are good at juggling between the kids because there are four boys in the family. There is a lot of consideration. We have a lot of good moral support and help with everything in the house. I'm pretty lucky on that side. Not only does JoJo have pulmonary hypertension, but his older brother has hydrocephalus and epilepsy, and his younger brother has a cognitive disorder and he is on hearing aids. So, between the three out of the four boys, we've been familiar with multitasking for a long time between all of the doctors we see and specialists. My sister has been really a good support with the caregiver side of things, as well, so she's trained. My oldest son, who's 14, is actually trained to mix the medication and stuff for Joelan. We try to balance everything out. His dad has been more of a moral support because he's not as strong, I think, as myself where, you know, sometimes that scares people. It's too much for some people and it really is. There's a lot that plays into consideration. But the challenges between work, I work full time, as well, as an accountant. And my job and my bosses have been very considerate of the situation. If I have to leave work, there's no question. I can literally drop and go. I work two miles from my house, so it literally takes me two minutes to get to the school, two minutes to get home. The doctor's office, not so much. It's about a two-hour drive. We've got a lot of responses in place in case of situations, whether it's Airlink ambulance. I am fortunate that one of the first responders is on my staff, so she's literally two steps away from me. So she gets the first call and then she's like, oh, let's go, Holly. But we haven't had that. We've got a lot of structures in place to consider in case something goes wrong. When JoJo was referred to St. Louis for a transplant evaluation, we were informed about the Pott shunt procedure. That's scary because for pediatrics, it's only been done, at that time, maybe only 12 times in the United States. And his cardiologist, the one thing she told me, she was like, "That's kind of a death wish. Would you really risk your son's life?" And then, for me, I answered, "Isn't he already got one? You just told me he has pulmonary hypertension. You said most chances if he lives over five years." So you feel like you're backed in a corner. So, for me personally, to overcome these obstacles there's two options you have when you're pushed in a corner. You can sit there, cry about it, and do nothing. Or you can push forward and fight for it. And that's definitely how I do and how I handle things. I've overcome a lot of challenges aside from pulmonary hypertension, but it's definitely made it stronger to move forward with the advances in the medication and therapies, to put trust in someone else's hands for the care of my son. Do the research. There's a lot of research that is available to do on your own. Don't be afraid to ask questions and definitely don't be afraid to challenge them. There's something much stuff that's coming out new that you may see or hear about and they might not be familiar with those. Always push through and make sure the doctors are allowing you to have that responsibility and respect. I'm really good at double checking everything and that's the one thing you have to do. You protect your child. So questions, never be afraid to ask questions. I'm Hollie Satona, and I'm aware that I am rare.